A rather small country, yet packed with a wide array of attractions, this is Belgium. The towns here portray a beautiful architecture. 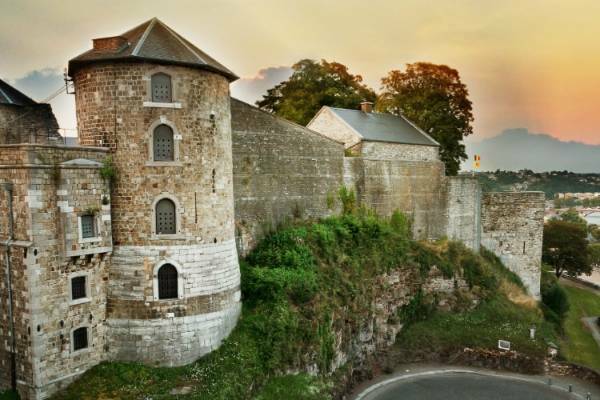 Across the countryside many of the Old Continent's main historical events have played out along the years: from Napoleon's battle at Waterloo, to events in both World Wars, the sites here portray various historical happenings. Both old and modern history, as well as interesting culture, beautiful nature and plenty of fun activities are to be found in Belgium. The capital of the country is Brussels, a city dotted with history, folklore, culture and museums, sciences and technology. The city of Bruges is also a major highlight, with ideally preserved medieval streets and the Belfry and Halle dominating the main square. Another stop in this city should also be the Basilica of the Holy Blood, which is said to contain a drop of Christ's blood. The Cathedral of Saint Bavo in Ghent is a very famous landmark, with the Flemish masterpiece “the Altar of Ghent”. The moated fortress of Gavensteen is easily accessible from a holiday villa in Ghent, being one of the best preserved such fortresses in Europe. The Battlefields of Flanders are for some the main reason for renting a last minute holiday home in Belgium, they are now an important pilgrimage site as well. Cultural treasures of Belgium are in the very least impressive. The capital alone hosts more than 80 museums, such as the Royal Museum of Fine Arts with about twenty thousand paintings, the Museum of Music Instruments with over 7000 musical instruments. The Diamond Museum in Antwerp, the Museum of Fine Arts in Ghent and others complete the cultural scene. The country is also big on festivals, which you can attend from a last minute group accommodation in Belgium. There are carnivals in February and March, like the one at Binche, in Hainaut, or the ones in Ostend and Aalst. In Bruges, if you rent a holiday home for Ascension Day, you can attend the Procession of the Holy Blood. Belgium is also well-known for its comics. The relatively small size of this country should not fool you, it is probably one of the places that offers most things to do per square mile. The two main ethnic regions, the Dutch-speaking Flanders and the French-speaking Wallonia portray numerous attractions. 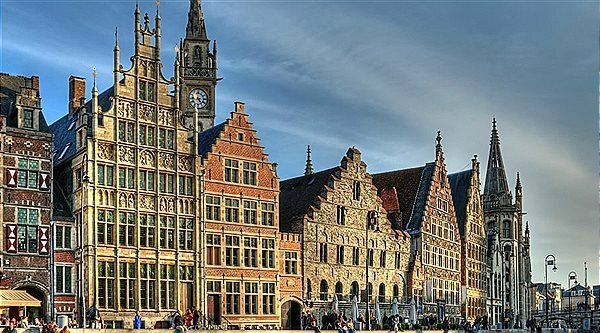 The main cities that are definitely worth a visit besides the capital of Brussels, are also the cities of Ghent, Antwerp, Bruges, Liege, Spa (also called “the pearl of the Ardennes”), Namur, Bastogne, Mons and Mechelen. There are of course numerous other places that will enchant your senses when on holiday in Belgium. Belgium is bursting with pleasant venues that are completely dedicated to thermal baths and wellness. If you are up for a weekend away in Belgium for example, towns such as Spa, with its name kind of being very suggestive, as well as the Chaudfontaine, make for an ideal destination. By Namur you will find the Thalgo Centre, the largest of its kind in the country. Refined decorations, sweet music, fragrances of various essential oils create an atmosphere of serenity in the Belgian spas. Belgium is a country that offers a variety of landscapes, thus no matter the season, you are all set up for a good time here. In summer, you can hit the beaches of the North Sea, go to the Brussels beach, enjoy lake water sports at the Lacs de l'Eau d'Heure, have an evening drink in the park. In winter, there is skiing in the Ardennes, as well as some most amazing Christmas markets in Belgium. The blooming gardens and the many flowers in this country in spring give it a most special allure, while in fall you can explore the numerous historical and cultural venues, as well as the delicious cuisine. A holiday in Belgium offers a diverse range of activities, as well as sports and leisure possibilities. Sailing, fishing, as well as other various water sports are very popular due to the country's location by the sea. The Ardennes mountain range is amazing in itself and also offers quite a number of hiking, walking, cycling opportunities. Golf and hunting are also common pastimes in this country, there are also adventure sports, the Agimont Adventure, the Ardenne Adventures, the Dinant Adventures, even the Tractor Pulling in Silly. A summer holiday in Belgium is one that will take you to the Belgian Coast, or maybe to the Lacs de l'Eau d'Heure, where waters sports and sunbathing are a lot of fun. A holiday home for the summer holiday in Brussels is also a great idea, there is even an urban beach here, called the Bruxelles les Bains, on the banks of the Brussels canal. Summer is a perfect time to visit the pools in this country, like the architecturally special communal pool in the area of Marolles designed in the Art Deco style. Enjoy a Belgian ice cream, the open-air party called “apéros urbains” every Friday evening in Brussels, a cocktail river cruise here. Belgium is full of happenings all year round! The land of chocolate and Smurfs is a most ideal place for spending a family holiday. Children can enjoy here many museums, festivals, castles, gardens and theme parks. The Smurfs, Tintin, Snowy and Marsupilami are just some of the animated characters that have been “born” in this country. A Comic Strip Walk in the city of Brussels is always fun, and getting lost in a garden maze is almost its equal in matters of having a good time. Explore the caves in Han for a bit of adventure, or the Chocolate Museum in Brussels, with tastings and demonstrations, creative workshops and even a treasure hunt. 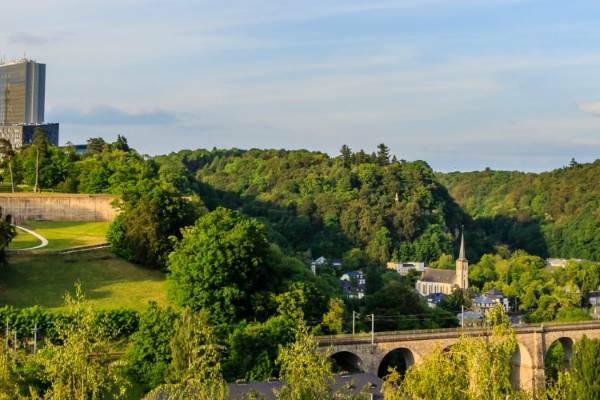 Ride the railway tracks on unique trolleys in the stunning valley between the Meuse and Sambre rivers with your family, a great outing from a group accommodation in Belgium. This country is never short of great entertainment options! Dining in Belgium - Bon appétit! Guten Appetit! Goede eetlust! Celebrate your holiday in Belgium with a dinner in the sky! Strapped into a chair similar to one in a race car, you will sit at a rectangular table, and then the dinner party will be taken up to a 45 meters height within just a few seconds. Amazing! Do not leave the country without stepping out of your holiday apartment in Belgium and trying out the local restaurants. Enjoy the specific Mussels, the famous Belgian Waffles, and of course, the French Fries. Get some chocolate at least as a souvenir (maybe, just maybe it will make it back home) and some local beer... you are in Belgium. Do you want to know how many dog friendly cities there are in Belgium? Here we go: 109 of them. So yes, the country says “yes” to a holiday with pet in Belgium, and it supports its idea with a wide array of opportunities for you and your fuzzy friend to have a blast here. From parks to cities, from beaches to outdoor restaurants, you and your pal can spend time in a most beautiful setting with renting a holiday home with pets allowed in Belgium. We must say that “there is something about... Belgium”, there is no doubt about it. Something that makes you energetic and carefree, something new and intriguing, something that never has you feeling blue, and definitely nothing borrowed, yet all authentic. Belgium is one that has you enjoying life to the fullest.